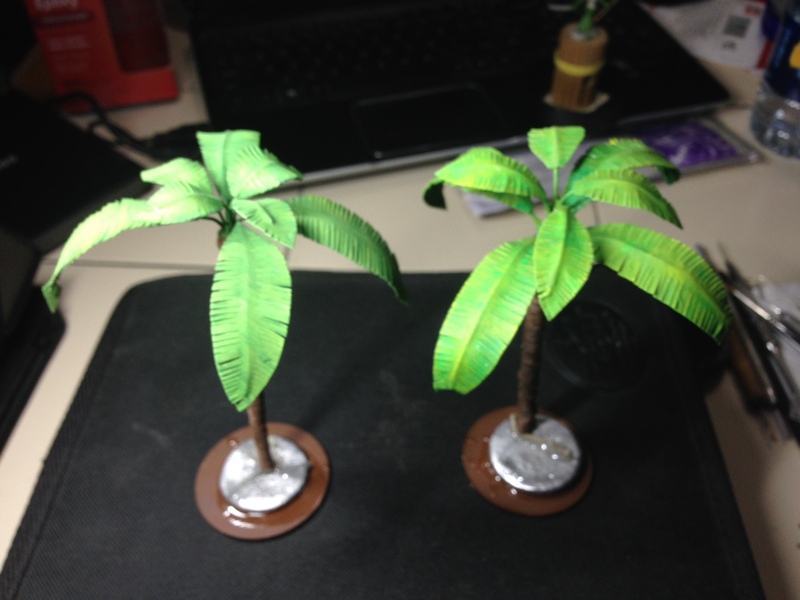 A quick update… I made many palm trees a while a go and still had a couple extra left over. 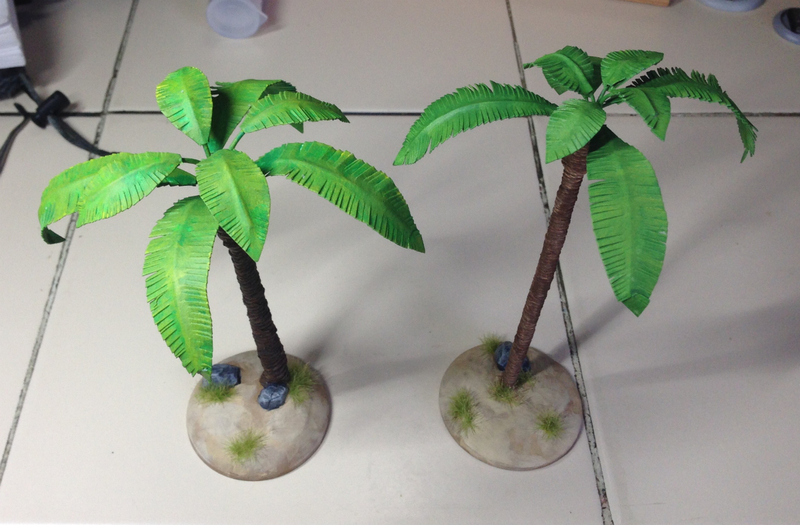 This combined with a lack of small tree bases when setting up a game of Pulp Alley the other night led me to this. 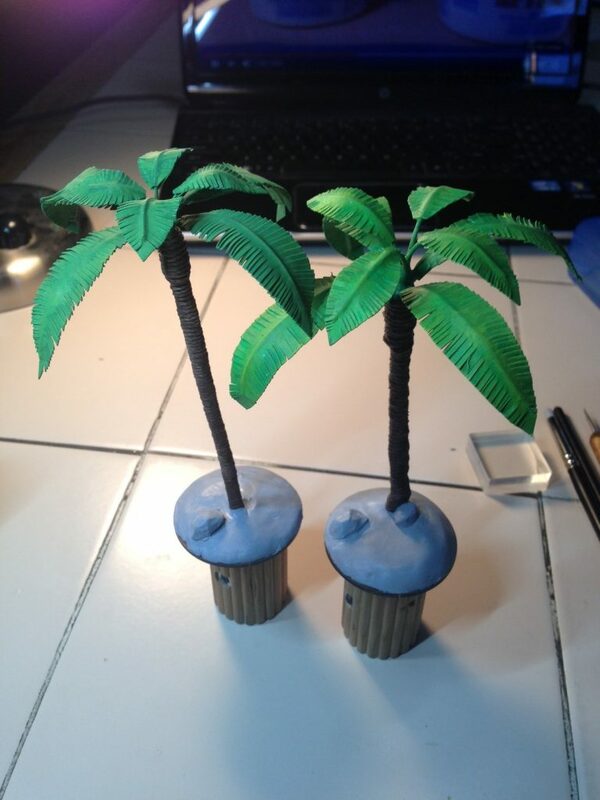 Palm tree scatter bases. Now I needed to smooth out the edges and create a sandy effect. 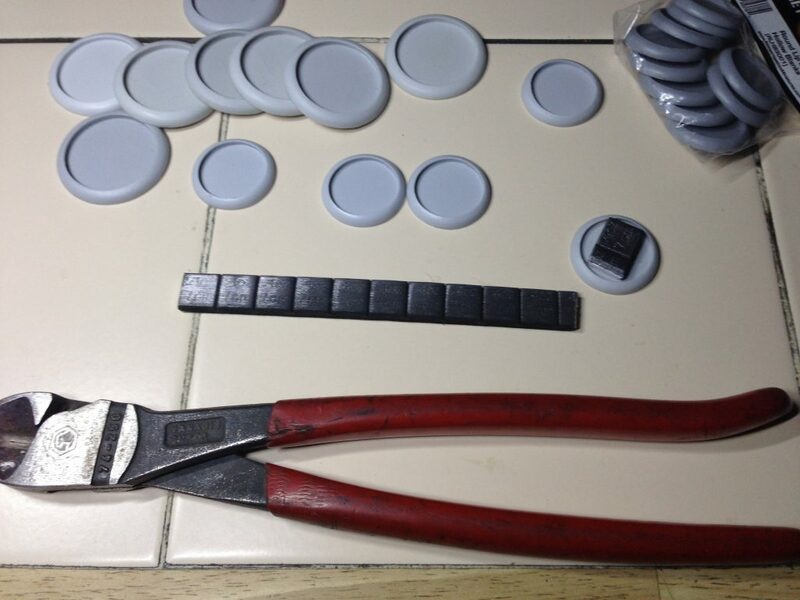 I looked around for something that would stick to lead and mdf and epoxy glue. Now, I have a fair amount of sculpting putty in a variety of flavors but they are pricey and take a while to cure. While checking over my stock in the freezer (cuz that’s where you keep sculpting putty!) I found some actual plumber’s putty. Why not? Cures hard. Sticks to metal pipe. I have it and I’ll probably otherwise never use it. So, plumber’s putty it is. Now, me being a male who “knows putty” didn’t bother to read the directions. Of particular notice would have been the curing time. I dove right in. I cut off a section and mixed away. Once mixed, I applied it to the base and started to smooth it out with my fingers. It’s sticky but workable. I had it roughly pressed into all the crevices and surfaces when I thought “I’ll add a rock.” Tearing off a chunk from the mixed supply, I realized the stuff was getting quite hard already! Light switch “on!” Faster cure time than my usual sculpting putty. I quickly added a dash of saliva and madly attempted to erase all of may many finger prints. It was a frenzy but I was able to erase most of them. I repeated this process on the second base. Within 10 minutes, both bases were rock hard and presumably ready for paint. All in all, this went much faster than I had thought it would. 1. 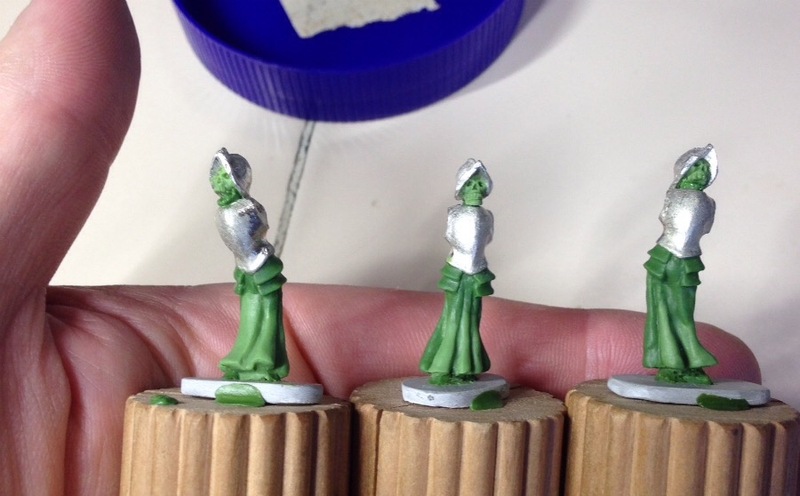 Plumber’s putty is a great terrain medium. 2. Plumber’s putty cures REALLY REALLY quickly. 3. I should probably read the package of the products that I use. Hopefully, I remember at least one of those things.